All it takes to get started is to join the SCCA and sign up for a Regional (Novice) License. A Regional License is a sort of learning permit that allows you to participate in SCCA Club Racing events. As you gain knowledge and experience, you may wish to make the effort to upgrade to a Divisional License. A Divisional License allows you to participate in almost any club event or professional road race. The pinnacle of licensing is the National License. This license is reserved for officials and carries with it a significant burden of responsibility and leadership. These are the folks dressed in white, trackside at each turn. They use flags to inform drivers of track conditions, operate a race control radio net, and handle first response to incidents on track. Starters handle the flags in the tower. They¡¯re responsible for starting races, tracking progress and throwing the checkered flag at the finish. The Pit Marshals control action in pit lane, serve as traffic cops during practice, qualifying, and race, and insure that conditions in the pits are safe, taking care of matters such as fire control. The Paddock Marshall monitors activities in the paddock to ensure vehicles are legally parked, that race and non-race vehicles are driven safely, and watches for potential safety hazards in and around the garages. The Grid Marshals place the cars in proper order for races and performs traffic control as cars are released to the track. They check driver safety gear and that cars permitted on track have passed inspection. Timing & Scoring is one of the most challenging of specialties, responsible for determining lap times and track position. You have to actually see the T&S workers in action to realize all that they do tracking a race in progress. Tech inspectors check cars for safety and rules compliance and ensure drivers¡¯ gear is in good condition. They manage impound, and verify that the top finishing cars are in legal racing condition. Registrars sign everybody in and ensure racers have paid their entry fees. If you like working with people, this may be for you. You may work here in the morning and elsewhere in the afternoon. Sound control is a little known but necessary specialty. Sound Control monitors all sessions on the track and assists cars that may violate rules governing sound levels. Some highly experienced participants become stewards. 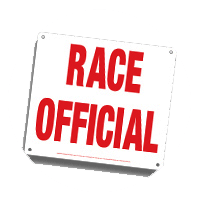 Operating Stewards are responsible for overall management of a race. Stewards of the Meeting are responsible for judicial aspects of the event such as handling protests. The Course Marshals maintain and deliver equipment to the corners and provide equipment and course support as needed during an event.